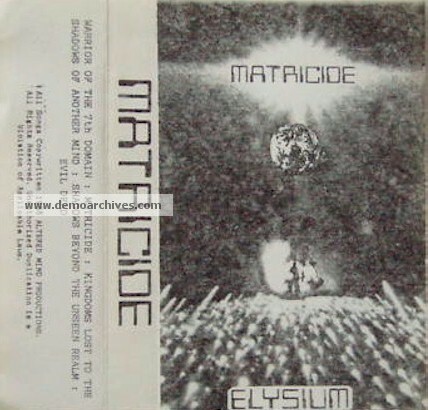 Death metal band Matricide formed in Winter Haven, FL in 1987 consisting of one man named John Ortega. He also played in Morbid Angel for a brief time in 1985-86. Xeroxed covers. Studio black tapes usually with stickers on the shell. Lyric sheet included.